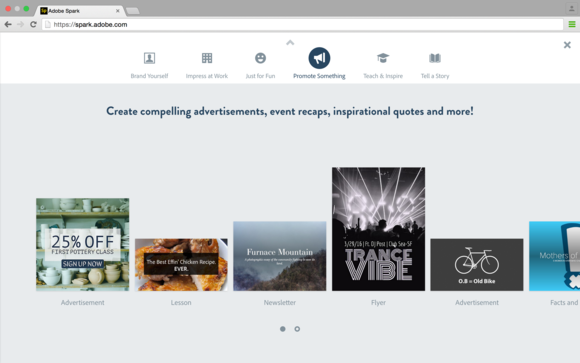 Three popular creative apps join a new Web app under the Adobe Spark family. Where do you go when Microsoft Office and Google Docs are not enough but Adobe Creative Cloud is too much? 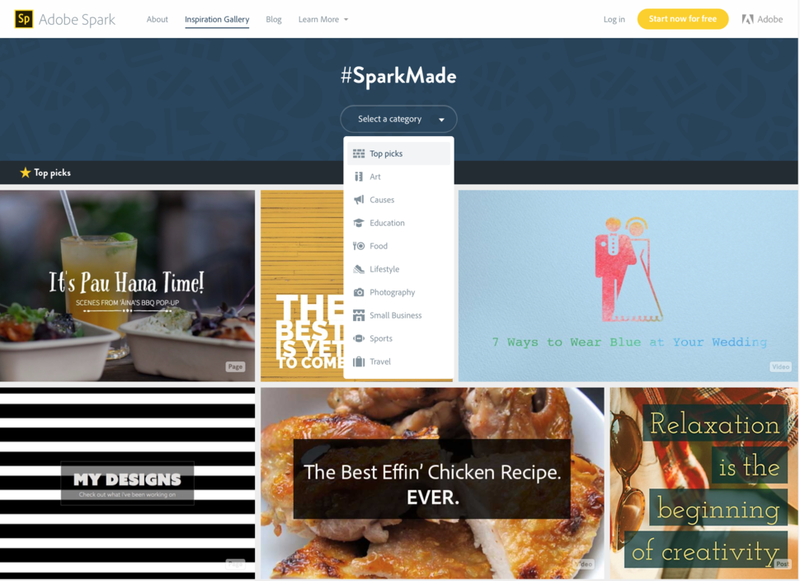 Adobe hopes you’ll turn to Spark, a new integrated suite of storytelling web and mobile apps for creating and sharing visual content online and via social networks. 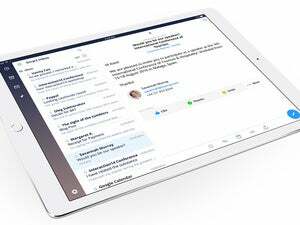 Spark may be a new name, but it’s not exactly a new game: Its mobile iOS apps—Adobe Post, Voice, and Slate—are already well known for creating social media posts and graphics, web stories, and animated videos. 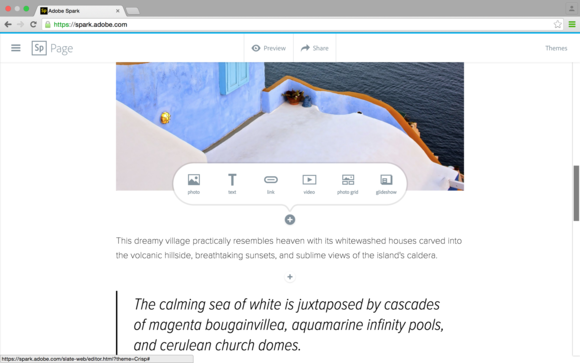 A new addition is the browser-based Adobe Spark web app, which facilitates cross-platform use to more easily create, update, sync, and share fliers, brochures, presentations, newsletters, memes, blog posts, explainer videos, and more from anywhere. The three mobile apps, all of which are now universal for iPhone and iPad, are now rebranded with the Spark moniker and some name changes: Adobe Post is now Spark Post, Voice is now Spark Video, and Slate is now Spark Page. All are updated, but otherwise maintain their current core functionality as free iOS apps. Spark Post updates include an iPad version, animations, and Live Photo export, which can convert your post into a Live Photo. Among Spark Page’s new features are an iPhone version, new Storybook and Trek themes, Google Photos support, and 3D Touch support, letting you preview projects and zoom in on images. Spark is targeted to all consumers: small businesses and solo entrepreneurs, students, volunteers with causes, and professionals seeking to boost their careers and personal brands. While such users do not command huge enterprises that typically are served by professional artists and marketers, they still expect their endeavors to compete creatively and perform well online. With social media as the prevalent communication channel, Spark templates and content strive to meet the need to be visually engaging and impactful. 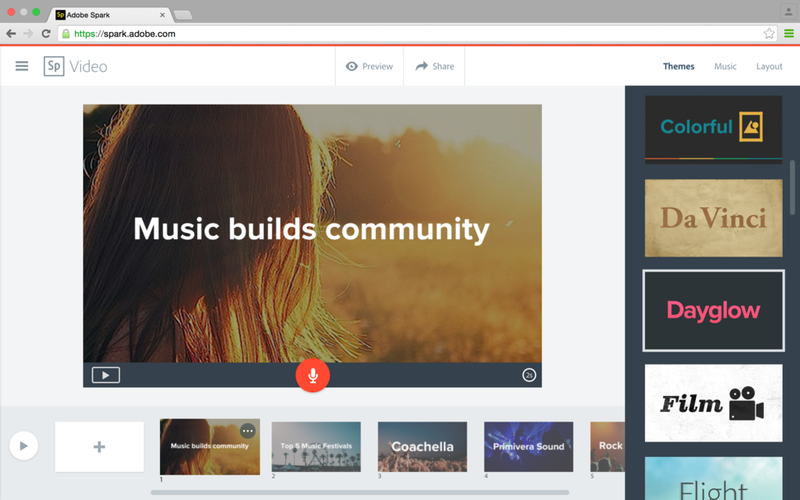 The web app lets you create your content in all three formats: social graphics, web stories, and animated videos. It allows universal access via laptop, desktop, and Chromebook for use in the home, workplace, and schools. 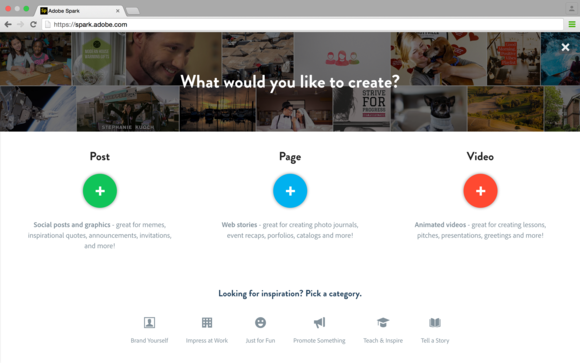 Previous users will still find all their previous projects for continued editing and sharing. 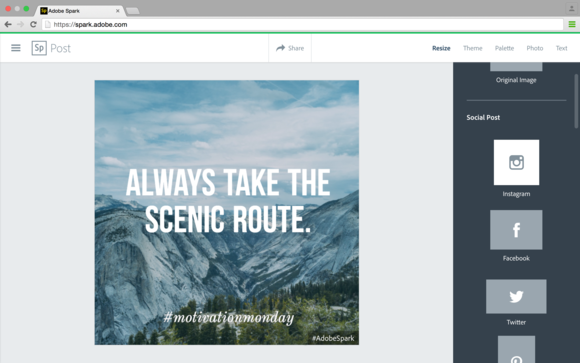 The mobile apps are format specific: Spark Post is still used to create images and graphics that are optimized for social media. You can use your own text and images while the app provides a theme-based social media oriented design framework. 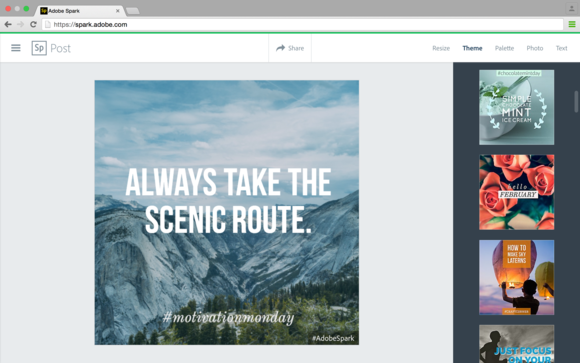 Spark Page lets you create web stories as a hosted web page complete with text, images, and video. Spark Video lets users create animated videos from your own or a library of images and icons, accompanied by your own voice and background music. Folks without design skills can start by accessing spark.adobe.com in the browser and logging in with Google, Facebook, or an Adobe ID. Preferred browsers include Safari, Chrome, and Firefox. Spark automatically syncs content between devices and browsers, regardless of where they were created. 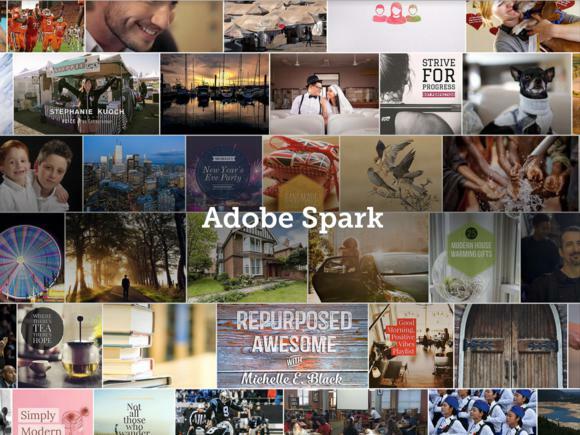 With Spark, Adobe is also inaugurating two collaborative relationships: one with Facebook Blueprint, an international education and certification program focused on assisting with marketing initiatives on Facebook and Instagram, and Change.org, a petition-based social change platform, to help create training materials for its users. Why this matters: Adobe is intent on widening its reach beyond the creative pro market to include a broad spectrum of consumers whose advanced creative and social networking needs outpace their training, capabilities, and budget. These users have distinctive and critical messages, seek multiple forms of public expression and require a consistently polished and professional social media presentation. When you can’t go to art school to learn multimedia design, Adobe Spark can lend a strong hand. Adobe Spark is available at Spark.Adobe.com. All iOS companion apps are free and available for download worldwide in English only. While Spark is officially part of Adobe Creative Cloud and employs some of its technologies, users do not need a Creative Cloud subscription to use it.